We all dream of the prospect of being our own boss. More people are taking up that offer every year and becoming independent contractors. For some, they just happen to stumble upon this newfound employment opportunity when a hobby turns into a profession. For others, life circumstances present exciting possibilities to work from home. We live in a technologically advanced world where new methods of communication are widely available. This makes telecommuting easier through email, live chat, and Skype video calling. These days, the office can be anywhere, and that includes your home office or the table in your kitchen. The market for independent contractors is growing in just about every field. More people are taking advantage of the many opportunities that exist for this non-traditional form of employment. There are many reasons to become an independent contractor, but the most popular is the freedom it affords workers in just about every facet of their lives. When you work for yourself, you can pick the assignments you want, make your own hours, and even choose where you want to work each day. However, it also requires an incredible amount of discipline and a full knowledge of some of the obstacles and responsibilities that are inherent to working independently. You’re not an employee now, which means you have to take on certain burdens that an employee doesn’t necessarily have to deal with as part of their job requirements. Things like taxes, health insurance, and lots of paperwork are just some of the most wide-ranging examples of what you have to handle all by yourself when you work as an independent contractor. Some of these elements can get pretty confusing, but we’re here to help you get the answers to some of your most nagging and persistent questions when it comes to working for yourself. An independent contractor is an individual who runs his or her own business in order to earn an income and make a living. When an individual becomes an independent contractor, he or she does not work for one particular employer exclusively but instead manages a list of clientele on multiple projects and tasks in which that individual’s skill set is necessary. If you work as a consultant, on a freelance basis, consider yourself “self-employed”, or even if you own and operate your own business, be it an architectural firm or dry cleaners, you can be classified as an independent contractor. This employment status comes with a variety of pros and cons. The advantages are simple – you typically get to work from home, you have the freedom to work on whatever project you wish, with whomever you want, and whenever you choose to work. You set your own schedule and hours. Since most independent contractors have the freedom to work whenever they wish, some of them work far more than the typical 40 hour work week. As an independent contractor, the only manager or supervisor you answer to is yourself. However, since you’re not an employee you don’t get many of the benefits that come from being employed in a position where you show up to the office five days a week and report to a boss. You don’t get health benefits, you don’t get vacation days (if you don’t work for a day, you don’t get paid), and when tax time comes around no one is taking deductions from your income. That is all your responsibility now and it can be overwhelming. Even just accounting for your income taxes can be slightly perplexing if you’re not sure how to handle reporting your income to the government. The biggest disadvantage, however, is that you simply don’t have the type of job security that comes with being an employee. Projects come and go and it’s up to you to constantly drum up new business with new clientele when those assignments end. The upsides can be very attractive, though. The money you can make as an independent contractor could be significantly more than if you were working as an employee. Also, since you’re running your own business, you can take more deductions on your taxes. You can be your own boss in just about any industry. Being a consultant is one of the more popular independent contractor jobs that exist. There are financial consultants, business consultants, construction consultants, management consultants, strategy consultants, life consultants, and so on. In fact, the term “consultant” has become somewhat nebulous lately so that it now incorporates a very wide swath of possibilities. If you can get someone to pay you for your input and contributions on anything from starting a business to managing someone’s finances to just about any other task under the sun, you can work as a consultant. 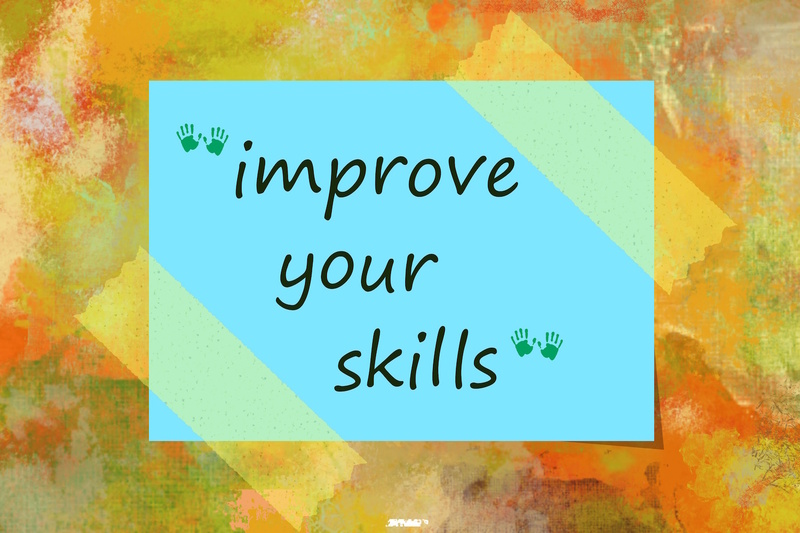 You’ll need to demonstrate your expertise in that field and display your wealth of experience in using that skill set. In some cases, you may need to hold a license for consultation in a certain capacity. If, however, you have these requirements at your disposal, then a consultancy may be the right move for the next phase of your career. Working as a consultant is just one avenue. One of the most popular career paths after consulting is working as in the trades. Plumbers, electricians, air conditioner or refrigerator repair workers, mechanics, cable TV installers, carpenters, landscapers, all of these can be independent contractor gigs if you have the proper training to work in that trade. Those who have this type of expertise can take service calls from a variety of clientele without having to report to a boss or manager. Some independent contractors with trade experience will work with other entities, such as home warranty companies or corporations. In this case, the independent contractor is still independent and receives payment not by the client directly but through the larger organization. Even if you do decide to work with other trade organizations, you will still be responsible for taxes, medical benefits, and other responsibilities. You are still an independent contractor, however, and able to continue conducting business outside of these jobs. One of the reasons people decide to become independent contractors is because there are many jobs available that embrace creativity and personal expression. 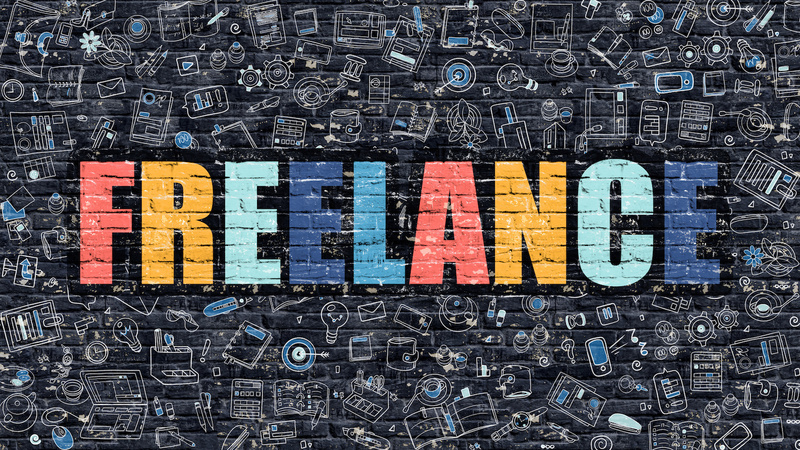 That’s why you’ll see a lot of freelancers taking on jobs that require an ability to write and edit content, work in graphic design, and build professional websites. You can be an interior decorator, a florist, a clothing designer, a painter, and still be an independent contractor. The movie industry is filled with independent contractors who work from one film to the next in an environment that fosters creativity. There are a seemingly endless number of independent contractor jobs out there that you can pursue. Some are tougher to start than others and you may need to procure a vocational license in certain fields, but there is no shortage of options before you. Even if you’re not working for an employer in the traditional sense and taxes aren’t being withheld from your paycheck, you will still have to pay them. In order to do so, independent contractors receive a 1099 form which every client must send you by law if you earn more than $600 for providing a service during the tax year. That income is taxable and needs to be reported to the IRS. Self-employed workers will receive this form just as employees receive a W-2 at the end of the year. As an independent contractor, there are a number of different 1099 forms you may receive. Each one is intended for use under certain circumstances to report the different types of income you have earned. The 1099-MISC is the primary form for reporting your income to the IRS and the most common form used by most independent contractors. If you have investments in stocks or mutual funds, you could be receiving dividends or other payments during the course of the year (that don’t include any money you would receive for selling off your stocks). To report this income, you would receive a 1099-DIV. Retirement account withdrawals are not exempt from taxation, so if you have a traditional Investment Retirement Account (IRA) and you withdrew funds from it during the course of the tax year, you will receive a 1099-R. That form reports how much money you received from the account in withdrawals along with any other applicable payouts that were received from an annuity, pension plan, or profit-sharing plan. Those of you who receive interest payments from savings accounts and various other investment instruments would receive a 1099-INT because that interest is taxable. If you received income from the government, such as a state income tax refund or unemployment insurance compensation, then you will report that money on a 1099-G form. Finally, if you have debt that ends up being forgiven for whatever reason, such as a forgiven student loan, then that money counts as taxable income and you will need to report it to the IRS. Any creditor that forgives debt of any amount can send you a 1099-C form to report that debt being canceled. If so, you will need to include it on your tax return. You are expected to pay income tax whether you work as an employee for a single company or if you work for yourself as an independent contractor. 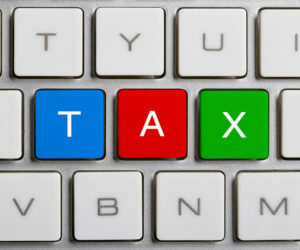 The main difference between the two is that an employer will withhold applicable taxes from your paycheck for income tax, Medicare, and Social Security purposes, while an independent contractor is the sole responsible party and must ensure they make the necessary income tax payments each year. Paying your taxes as an independent business owner or self-employed individual isn’t the same as what you would do if you worked a traditional job for an employer. You don’t wait until April 15th to file your return. Instead, most independent contractors pay quarterly “estimated taxes” if they anticipate making over $3000 in adjusted gross income from their business. Among the many requirements you’ll need to meet as an independent contractor is to register with the IRS. This means you should start paying estimated taxes with a Form 1040-ES and file schedules C and SE with your standard 1040 in April. You can also substantially reduce your tax bill by taking all of the available deductions. Luckily, independent contractors have a wide spectrum of deductions to claim, far more than usual employees have at their disposal. Depending on the amount you owe in taxes, these deductions can wipe out a significant portion of the monies you would be expected to pay. Since independent contractors do not have an employer regularly deducting Medicare and Social Security payments from their paychecks, the IRS imposes a Self-Employment Tax. You can calculate how much you owe under the Self-Employment Tax by using Schedule SE. As of the years 2013 and 2014, the Self-Employment Tax was 15.3%. Depending upon your situation, you may even be able to claim certain deductions on that tax. So far we have discussed what it means to be an independent contractor, how to decide if you qualify as one, the types of jobs that exist for independent contractors, and the various tax responsibilities that may apply to your specific working situation. Perhaps these factors don’t yet apply to you in full and you’re just considering making the switch to starting your own business or pursuing other independent opportunities. Maybe you’ve been working a side hobby that has really taken off and you’re making a lot more money doing that as opposed to the wages you’re earning at your current day job. Now you’re thinking about quitting that job and making the side project a full time job as an independent business owner. There are a few requirements that you’ll need to meet as you set out to become an independent contractor. The tax responsibility is only part of the equation; there are a few other formalities you may need to address before you can be considered self-employed. When you start any business you need to give it a name, even if you’re only working as a consultant. This way you can open a business account at the bank and complete business-related paperwork. Consider your business name wisely, as it will be your first impression with potential clients and customers. It will also be the name that is directly associated with your business on contracts and other paperwork, as well as business cards and invoices. If you elect to use your full name instead of a new or creative business name, then you may want to add a few words to it that reflect the kind of business you are conducting. For example, you may want to consider names such as John Doe Plumbing Services or Jane Doe Financial Consulting. Once you decide on your name, you’ll need to register it with a county clerk in the state where you want to do business. A few states require you to register with an office at the state level instead. If you decide to go with your own name and add those extra descriptive words, then you might not need to file the paperwork with the county clerk. This is the next important step you need to take before you can consider yourself a full-fledged business owner. The tax registration certificate is essentially a business license, something that allows you to do business in the city where you opt to set up shop. If you operate your business out of your home, then you would apply for a tax registration certificate in the city where you reside. This is the case even if you travel to work with your clientele elsewhere. As we’ve mentioned, there are a whole litany of jobs that you can perform as an independent contractor. We named a few of them already and, while doing so, suggested that you may need to obtain the proper training and possess a license to conduct certain types of business. In most cases, these are service related professions that include everything from massage therapists to mechanics to realtors to electricians and so on. Before you set out to start working, be sure to investigate whether or not you need a license in order to legally work in that field. While you’re at it, find out about how to obtain the proper certificates. You can get more information by contacting your local or state government office or website or ask your trade association about how to comply with any and all licensing requirements. Now that you’ve made the switch from an employee with a routine paycheck to a freelancer without the job security of showing up to the office each day, you’re going to need to work hard at making your business succeed. That’s going to require you to do some smart planning when it comes to your money and your time because you’ll need plenty of both to make sure this new venture takes off. Money is always a concern whether you’re gainfully employed or looking for work. Right now, you’re more the latter than the former when you’re doing everything yourself as an independent contractor or small business owner. In order to properly prepare yourself to take on this new phase of your life, you’ll want to take some steps towards securing your financial future when your money situation is anything but stable. Budgeting is more important than it’s ever been before. You will have to cut some things from your budget that may be superfluous for the time being. Now that you’re working for yourself, you’re not too sure exactly where your next paycheck is coming from. 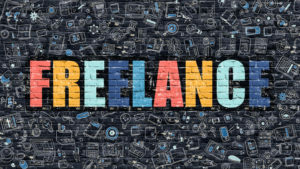 Being an independent contractor can sometimes mean your paydays are going to be more sporadic and further afar from one another, at least at the start. So you will need to plan for these potential extended gaps between paychecks. That means budgeting your money and your time as well. Speaking of money, you’re going to want to create a financial cushion or some other type of contingency fund for the same exact reason – you simply never know how few and far between those paychecks are going to be at first. You need something to fall back on in the event you’re bringing in a limited amount of money (or perhaps none) for a few weeks or even months. If you are already independently wealthy, being an independent contractor is certainly a lot easier. As for your time, you need to start treating that like a much more valuable commodity since you’re going to be doing a lot more with it. Budgeting your time is just as vital as budgeting your finances now that all of your time is all your own. When you were going to the office each morning, you pretty much knew what you were expected to do for the next eight hours. Now that you are your own boss, you are responsible for filling your time. This is easy if you’ve already lined up some clients and you have projects before you. If not, then you need to figure out how to best spend your time finding new customers and bringing in business. That can encompass a whole laundry list of things that need to be accomplished. You’re likely going to be spending every waking minute and many late nights getting your new business up and running, so be sure you’re devoting enough time to that goal and, more importantly, know what you’re spending each hour of your day doing on top of that. The days have a nasty habit of flying by without you actually getting anything accomplished. That’s not good for your chances of achieving success. Above all, know what your time is actually worth. Before you start charging clients for your services, sit down and really consider what is that you’re doing for them and how much that should cost. Start by thinking about what you’re going to be doing and what an hour of that time is worth. If you can’t estimate, sit down and calculate it out. You may come up with two very different numbers.